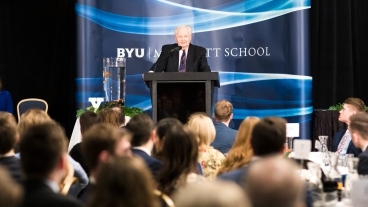 More than five hundred students, faculty, and alumni gathered together for the annual presentation of the Bateman Awards, which honor the students and professors who best exemplify the values of BYU Marriott. 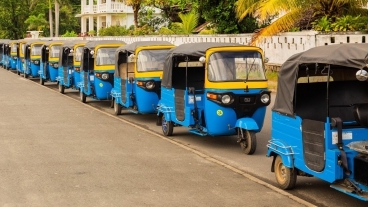 While the hustle and bustle of big cities in America are characterized by taxis and Uber and Lyft vehicles, Madagascar's ubiquitous mode of travel looks very different. Born in a Thailand refugee camp and raised in Cambodia by her sister, Channika "Nika" Noun never expected to complete any kind of education. Now, she prepares to graduate from the Brigham Young University Marriott School of Business.